The Charles Owen Ayr8 Round Leather Look Riding Hat is an elegant and stylish riding hat with a rounder fit for rounder shaped skulls. The Ayr8 was worn by Gold medal winner Charlotte Dujardin in the London 2012 Olympics. This riding hat has unparalleled fit and safety to ensure you not only look great but are well protected as well. 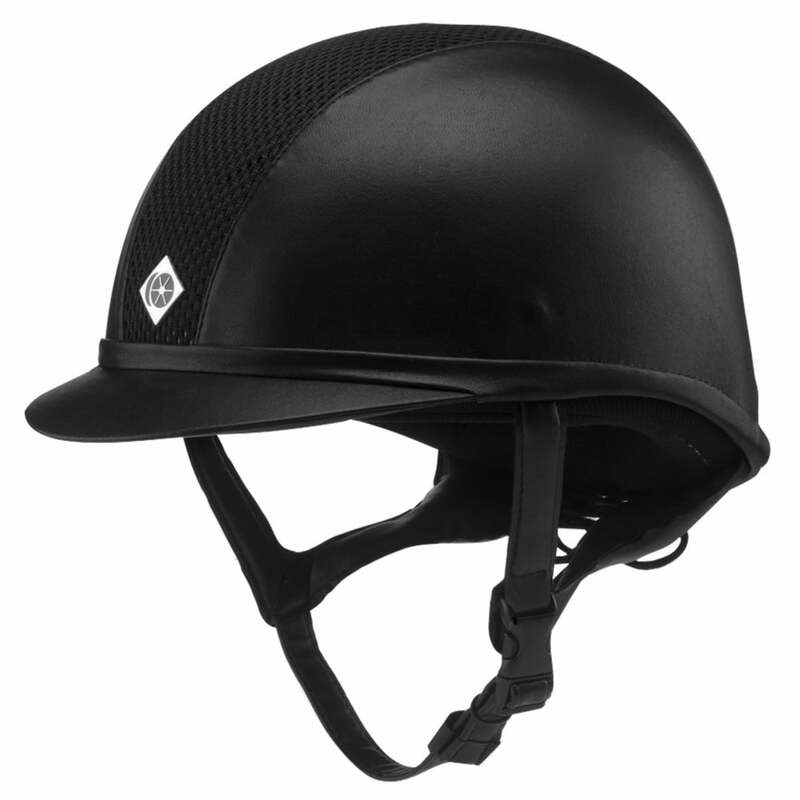 The Charles Owen Ayr8 is coated in a leather look fabric that features a mesh covered ventilation panel down the centre of the helmet to hide the front and rear ventilation holes while still allowing them to keep you cool during warm weather and when under competition stress! The Charles Owen Ayr8 Round is finished off with a soft GRpx harness for comfort and safety.